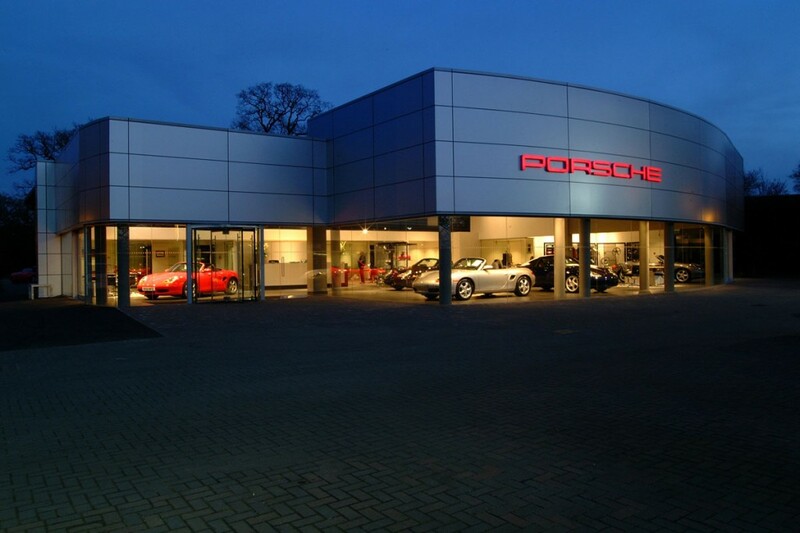 into were previously appointed to produce a lighting scheme which could be rolled out to new Porsche sites across the UK. 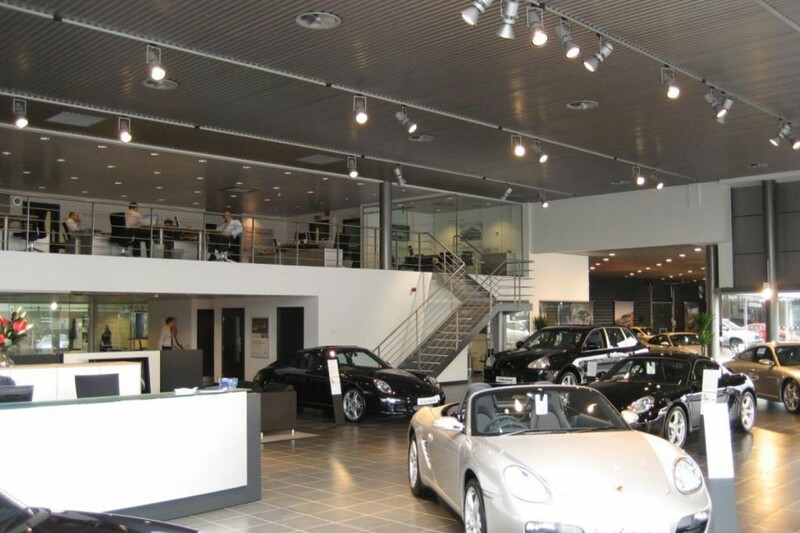 To provide even lighting onto showpiece cars narrow-beam metal-halide track projectors are used in the high ceiling spaces. External facades are well-lit with separate lighting circuits. 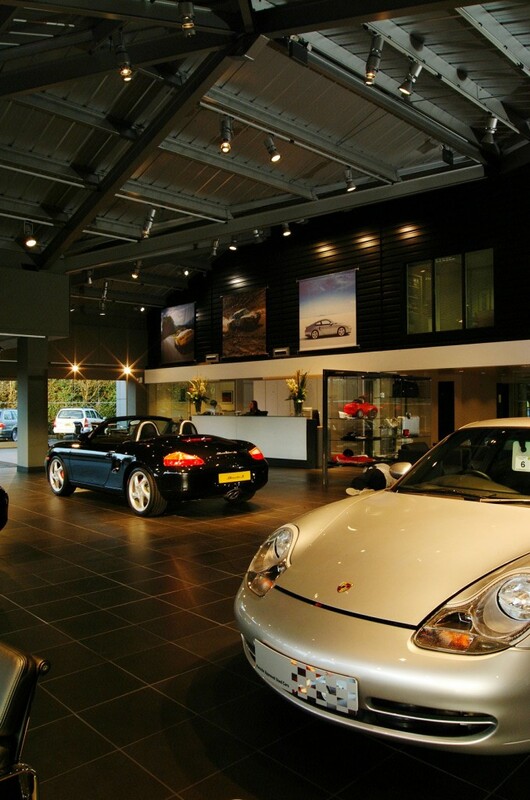 All lighting is smooth and evenly distributed. 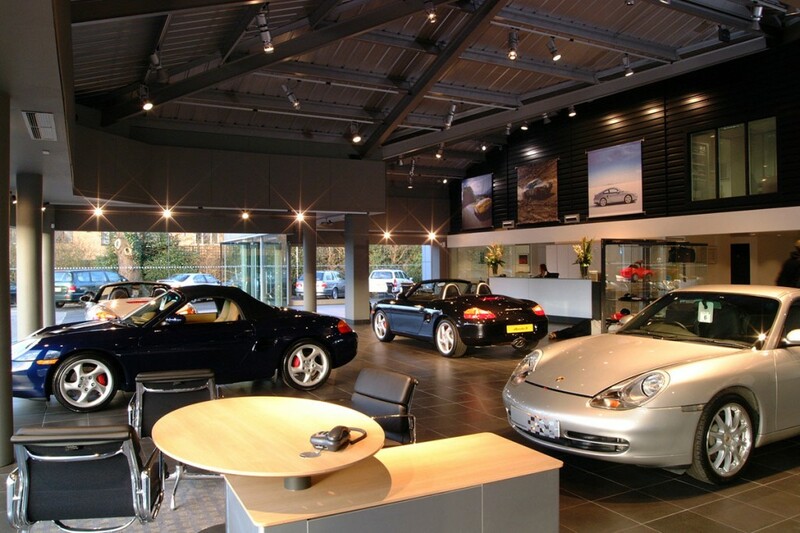 The lighting scheme provides powerful, anti-glare lighting onto the cars. 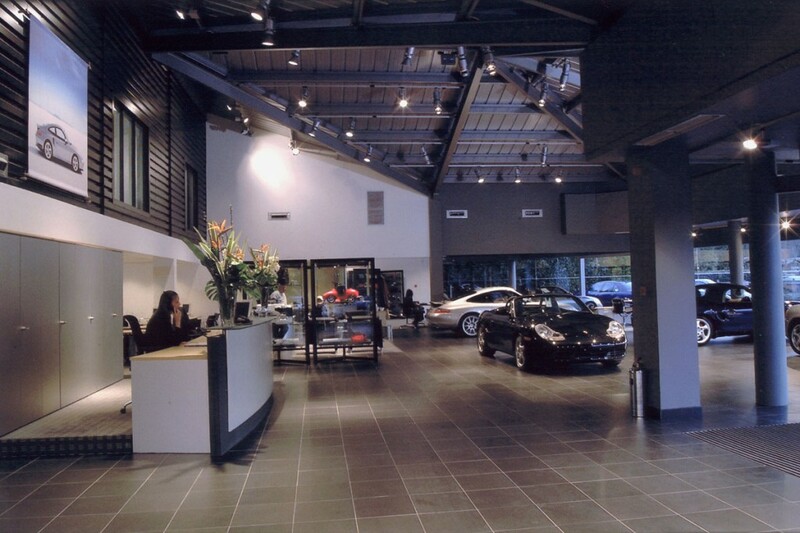 The designs were suitable for a swift and efficient roll-out across over 35 UK sites, and were adapted and managed by into. 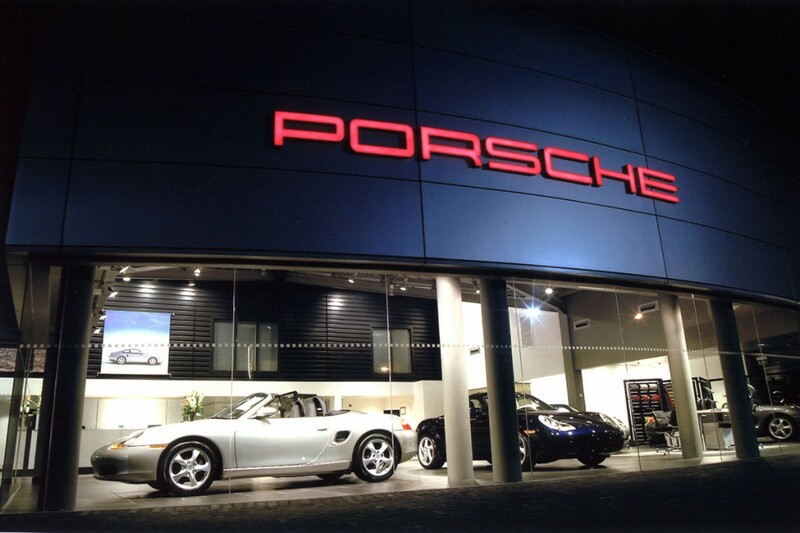 The successful appointment as lighting consultants to Porsche led to work on international projects for the company.